Andreas Achenbach – Rijksmuseum Twenthe inv. br. 1365 (on loan from Dordrechts Museum). 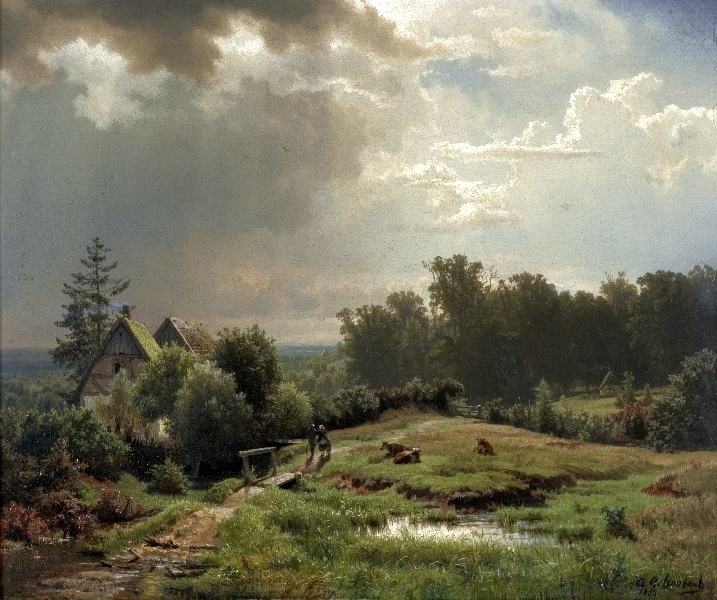 Title: Heuvelachtig landschap. Date: 1852. Materials: oil on canvas. Dimensions: 55 x 66 cm. Inscriptions: A. Achenbach / 1852. Nr. : inv. br. 1365. Source: http://www.rijksmuseumtwenthe.nl/ventura/rijksmuseum_collectie/fotos/BR1365.jpg. P.S. I have changed the light, contrast and colors of the original photo.